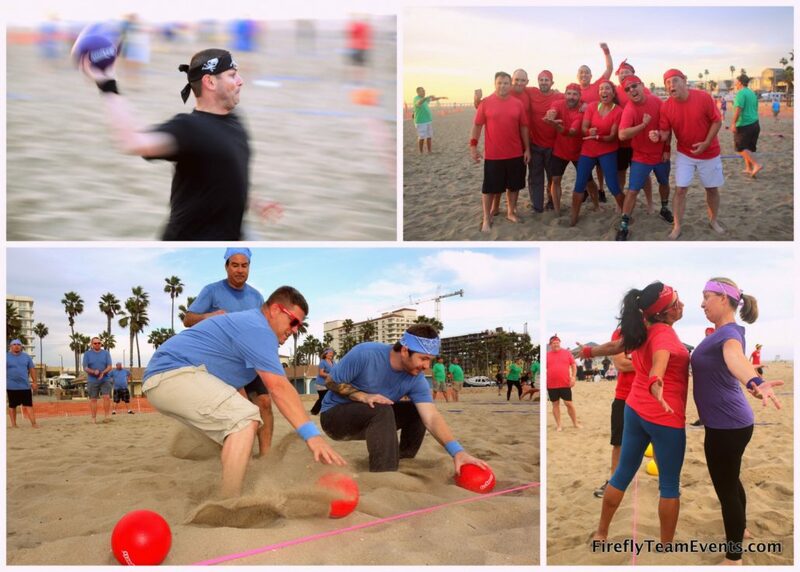 Location(s): We can produce team building dodgeball tournaments indoors or outdoors in Los Angeles, Orange County, San Diego, Santa Monica, and more. Grab your closest cubicle buddies and get ready to settle policy debates in a civil yet pleasingly aggressive fashion. Dodgeball is the newest darling of the HR and Conflict Resolution sectors. With one simple red ball you can make your opinion known. Did someone eat your lunch in the fridge? Didn’t return your stapler? Failed to file the right TPS report? Dodgeball will bring all of that into the open in a simple aggressive team building event. We’ve taken all the angst and political correctness and turned into a space age polymer. That polymer is the stuff dodgeballs are made of. To maximize playing time and participation for all participants we recommend a round robin format. This keeps all teams active and engaged during the tournament. When time is called you’ll get points for each player you still have on the court. We’ll follow the round robin rotation with a single elimination final tournament. Individual games rarely last more than 4-5 minutes with 8 people per team. Sometimes you need to leave the office and throw things at one another. Professional Emcee To Keep Everyone Hyped, Experienced Referees, Ball Stops, Court Lines, Foam Rubber Dodgeballs, Tournament Board, Snacks, Water, Shade Canopy And A CRAZY Good Time. This can be a very physical game depending on the competitiveness of your group. Where can we have this event? In any large gym, park, or beach.